These are the words of Deborah Hersman, chairwoman of the National Transportation Safety Board. The Board’s function is to investigate accidents in the aviation, highway, marine, pipeline, and railroad industries, as well as accidents related to the transportation of hazardous materials. Speaking at a news conference in Washington, D.C. in December, 2011, Hersman, on behalf of a unanimous five-member Board, recommended that states ban all driver use of cell phones and other devices including hands-free devices when driving. The only exception the Board accepts is when an emergency exists and for GPS navigation devices. Safety experts are concerned about distracted drivers who killed over 3,000 people in 2010 and injured almost 600,000 people. 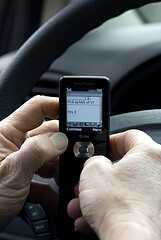 * The NHTSA also reported that 50% of drivers 21 to 24 years old admit to having texted while driving (TWD). Approximately three dozen states ban TWD and ten states ban handheld devices. For more on this subject, check out ways to get drivers to stop texting and this graphic video – a PSA demonstratingthe dangers of texting while driving. A tragic accident on August 5, 2010, was, in part, the precipitating event behind this action by the Safety Board. A teenager in St. James, Missouri, was texting his friend, 19 year-old Daniel Schatz about spending the day at the county fair. An exchange of 10 text messages were traced between the two boys at the time leading up to the accident. Daniel ran into the back of a semi-cab starting a chain reaction that killed Daniel and a 15 year-old girl instantly. Dozens were injured in the pile-up leaving two school buses and a pickup truck damaged. Daniel’s friend thought he was already at work. What do you think of banning all devices in cars while driving? Think about the last text message you received while driving. Was it worth taking your eyes off the road, even for a second? 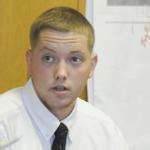 Update: In February, 2011, 17-year-old Aaron Deveau of Ohio was driving while texting. He crossed the center-line and hit another car head on. The accident killed 55 year-old Donald Bowley, a father of three and seriously injured his girlfriend. Phone records showed that Aaron had sent close to 200 text messages during the day of the crash with some minutes before and dozens more afterwards. He was charged and convicted of negligent operation of a vehicle while texting and motor-vehicle homicide. The texting charge was based on a new law that went into effect a few months earlier in Massachusetts. He faced four years in prison. In June, 2012, he was sentenced to 2 1/2 years in prison, 40 hours of community service, and is required to surrender his driver’s license for the next 15 years. Deborah is right on! those are powerful words that should be heeded!